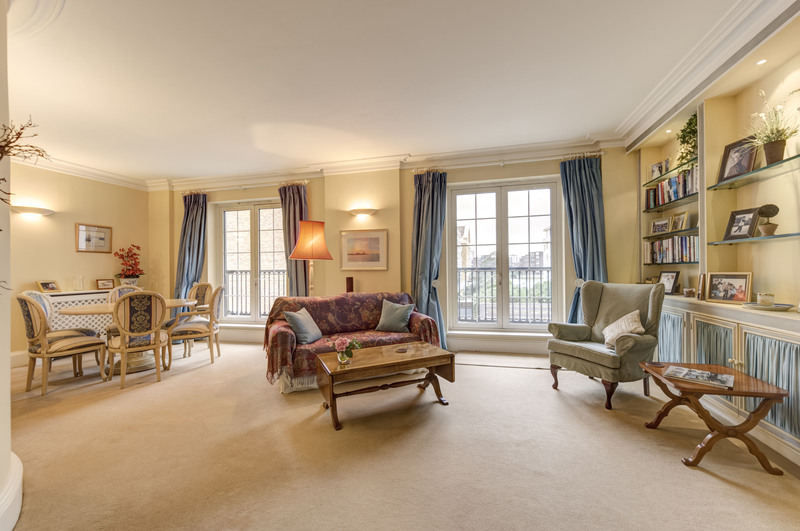 A delightful first floor, 2 bed, 2 bath apartment with French windows leading to a balcony which provides limited views of the river and a glimpse of the harbour. Rooms are well-proportioned and the property is decorated in neutral style. All furniture is included in the price and the property comes with one underground parking space. Imperial Wharf overground is a short walk and there are many good pubs and restaurants located in the immediate vicinity.